Born and raised in a small town in Arkansas, Margi has been playing piano since she was 7 and playing professionally since she was a teenager and music has been a part of her as long as she can remember, being her means of self-expression and sharing with others. 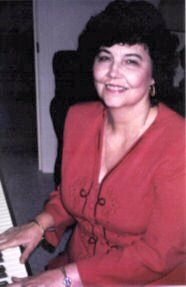 She next spent 30 years raising a family, teaching piano and performing only locally then something big happened - The Internet. The Internet opened up Margi's music to the rest of the world. Having loved and written music for many years and also known for her amazing recall of over 3000 songs, she was soon providing music to internet sites around the world in the mid-90s. A true internet pioneer, she saw her music spread over the world and now can be found on thousands of WEB sites. Over 25 million plays of her music on her web site at LLERRAH.COM (Harrell backwards). 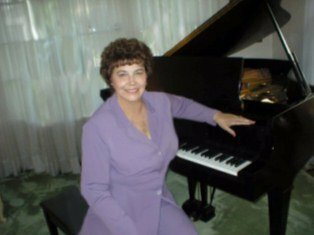 Margi Harrell is a gifted musician who has been playing the piano well over 50 years. She makes her own arrangements and has many original compositions that have made her famous. Her familiarity with inspirational and spiritual themes comes from having played piano for her church. Many of her fan base write that they consider Margi's web site the Best site on the Internet and find it the best place to spend 30 minutes listening to her music while reading inspiring stories. Margi's music is the perfect accompaniment to the inspirational cards and her music CDs available for purchase. Margi lives in Camden, Arkansas with her husband; they have three children and six grandchildren. Click here for information on how to request and add music to your site. Margi's CDs can be purchased here. View Margi Harrell Youtube Videos.